Garden Tea Co. is a family owned and operated small business founded in 2011 with a passion for growing high quality nutrient dense foods. We believe that healthy vibrant homegrown food begins with healthy living soil. This fundamental principle has remained our primary focus; offer products that enhance and assist the life within our soil, and provide experience based information that will assist others in moving closer to their agricultural goals..
We're proud to offer an array of products in support of holistic biological organic agriculture. Products that you can be sure are safe for your family and our environment. These are products that we use on our small family farm, Black & Elder, located just outside Asheville, NC in the Alexander community. 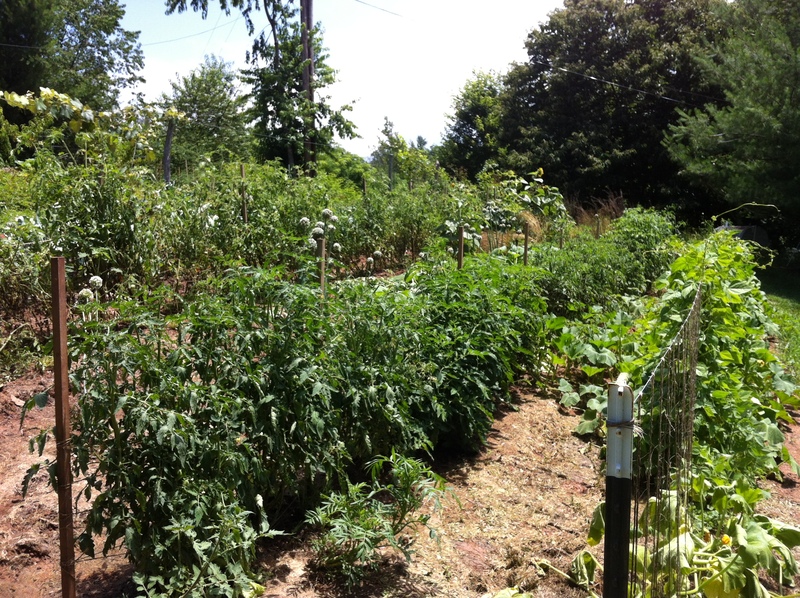 Our humble Black & Elder Farm is a 4+ acre parcel made up of bottom land and hillside home & gardens located along Newfound creek in Alexander, NC. We are currently in production and continued expansion of wetland fruit and nut crops which include; Elderberry, Mulberry, Blackberry, Paw Paw, Persimmon, Black Walnut, Quince & Hazelnut. In addition, we also keep a large family garden, produce some fantastic gourmet garlic, keep a flock of chicken / ducks & guinea fowl and care for an ever expanding number of honeybee colonies. We produce and retail honey and enjoy breeding small batches of new queens each season. Future plans for Black & Elder Farm is a nursery operation providing quality stock of our; fruit and nut selections, medicinal herbs and dynamic plants of fertility such as; chamomile, comfrey, horsetail, nettle, and yarrow. At present we are a home/ farm based business and also hold jobs in other avenues, as a result we do not keep regular business hours. Email is our preferred method of contact. If you do call and we're not available to take your call immediately, we'll do our best to get back to you as soon as possible. We're happy to answer questions; about any of the products listed here, regarding compost tea, vermicomposting or general gardening questions.